You’re a special Touch Mobile subscriber if you receive the latest advisory that offers unlimited call for 5 days. 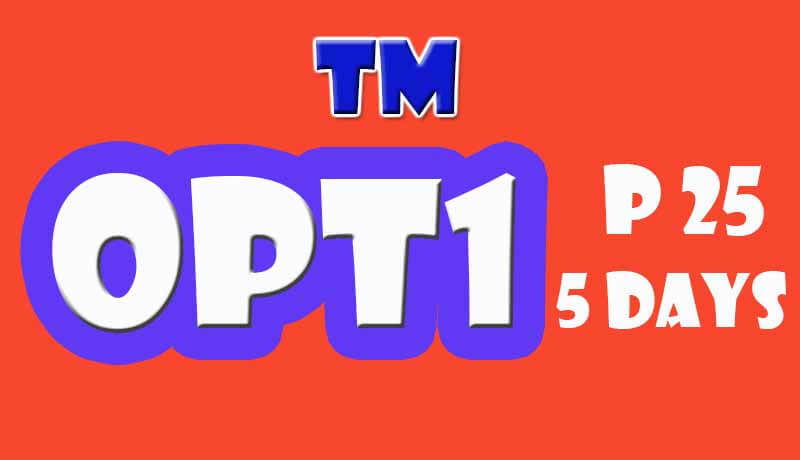 This OPT1 promo is limited only to those who receive the SMS notification from TM. Your 25 pesos can last for up to 5 days unli calling to Globe and TM, just direct the number of the person you are trying to call and then you’re good to go. Since this promo is not available to all TM users, the only qualified to register on this promo are those who receive the SMS OPT1 message, see sample advisory below. "Dito sa TM, todo na talaga ang saya dahil sa P25 lang, may unlimited calls and texts ka na to TM/Globe plus 20MB pang-internet, all valid for 4 days! May Free FB pa. Sulit diba? To register, just text OPT1 to 8080. Offer is valid until 02/10/2016 only. This is a free advisory." If you received this offer on your Touch Mobile prepaid account, you can enroll before the indicated promo validity expires.